After a productive transfer deadline day in which Newcastle brought in two additions, it has been reported the Magpies missed out on a third ​in Boubakary Soumare. Newcastle reportedly made a last-gasp bid for the highly rated 19-year-old on Thursday with Lille rejecting the offer - despite the midfielder yet to start a game for the French side. Benitez had been looking to bolster his midfield options but his estranged relationship with owner Mike Ashley had prevented the Spaniard making any additions until transfer deadline day. The Magpies brought in Monaco left back Antonio Barreca on loan before breaking their transfer record to sign Atlanta United playmaker Miguel Almiron for £20m. It beats the £16m they paid ​Real Madrid for Michael Owen in 2005, and also breaks the MLS transfer record. But according to reports in ​Le 10 Sport, Benitez was keen to give an opportunity of first-team football to Soumare - who Sky Sports reported last January was the focus of a £35m move from​Manchester City. Soumare, born in France and of Senegalese descent, came up through the Paris Saint-Germain ranks before heading to Lille in 2017. The box-to-box midfielder has represented France from U16s through to U20s and has been dubbed as the 'new Yaya Toure' in some quarters. 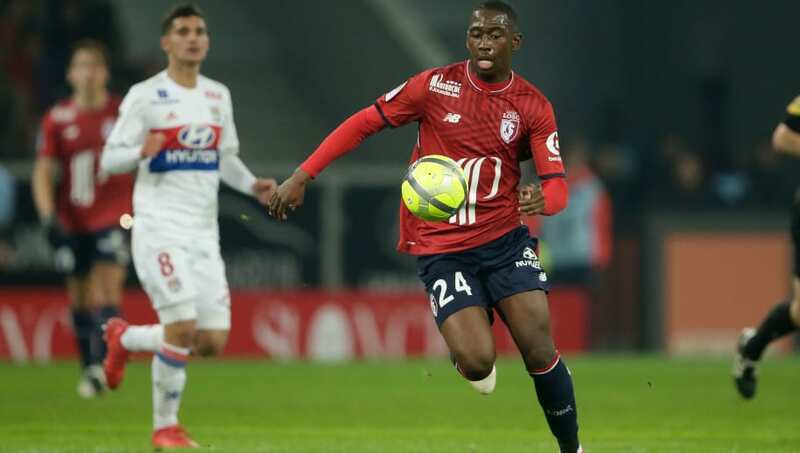 Lille are thought to want to keep hold of the gifted youngster who has only featured in 80 minutes of action in ten substitute appearances in France's top flight. ​Newcastle take a trip to ​Wolverhampton on Monday February 11 looking to distance themselves from the relegation zone, which is just two points behind them.